Hello ClubTouareg, VW Vortex members, and all others! 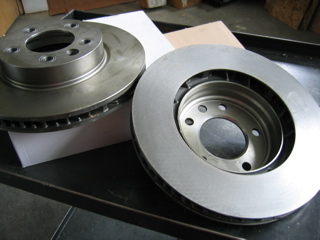 ATP is now offering PAGID OE German-made pads and coated, high-carbon GG-15 rotors for sale in our kits. ATP is offering Raybestos Professional Grade pads for front and rear... all kits are available in 1 to 5 days, ex our facility. 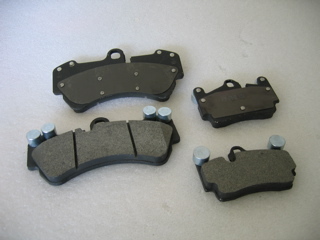 Four Pagid brake rotors for any 2004-2010 world spec V6/V8/V10 Touareg, Pagid OE pads, four brake wear sensors, 2 caliper hardware axle kits, four rotor retention bolts, and two rear rotor adjuster port plugs is $698.00. Kits with Raybestos pads substituted are $662.00. Kits for 2011-2017 Touareg models V6 gas or diesel are $748.00 due to component differences. Kits for other world engines are available including the R5 model and the V8 Diesels sold outside North America. Freight charges are additional for all products. Freight charges are based upon UPS ground posted rates for commercial or residential services. Special 5mm & 16mm Triple-Square installation sockets available NOW! We have sold over 3,000 of these parts' kits and folks have agreed that the quality is excellent and the performance is equal to original equipment performance... or better! Raybestos buyers report less annoying dust on their wheels, too! ...Plus this is a fraction of the dealer's prices... for the same results (and less dust..!) ATTENTION: Porsche Cayenne and Audi Q7 owners: these parts are for you, too! Phone Hours 8:30am-6:00pm ET weekdays. PS: We now offer the genuine Philips HID-D1S xenon headlight bulb for all Touareg/Q7/Cayenne models at low wholesale prices! We offer Hella 5000K D1S lights! Please ask for our current low price! "We know Touareg brake platforms"